Death notice for Mary Bernadette (Fitzgerald) Hartley | LeClair Cremation Centre Inc. It is with heavy hearts we announce the peaceful passing of Mary (Fitzgerald) Hartley at the Georgian Bay General Hospital, Midland on Friday, March 22, 2019 at the age of 84. She is reunited with her beloved husband Ron Hartley. Loving mother to Blake Hartley, and Paul Hartley and his wife Kim. A cherished Nana to Vanessa Hartley, Joel Hartley and his wife Lindsey and their children Alex and Brooklyn. She was the daughter of the late John C. Fitzgerald and Mae (Blake). 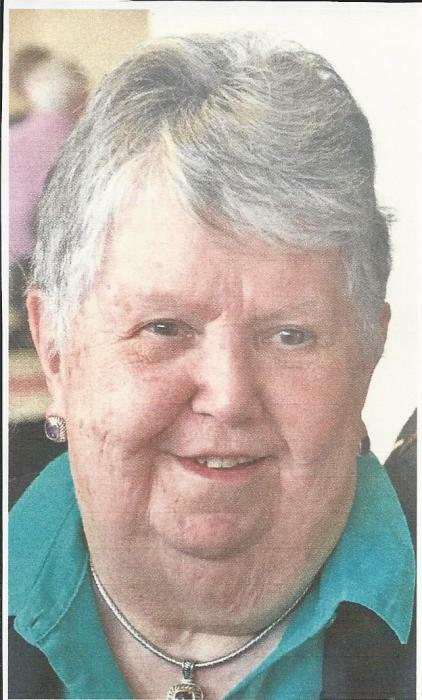 She follows her late brother John P. Fitzgerald (his late wife Jean), her late sister Barbara (late husband Ray Gagnon) and late sister Patricia (husband Robert Morrison). Her genuine love of people especially the young made her a favoured aunt and friend to many. A memorial mass will be celebrated at St. Ann's Church, 28 Robert Street West, Penetanguishene on Saturday, June 1st at 11 a.m. followed by interment at St. Ann's Cemetery. A luncheon will be provided at the Knights of Columbus Hall, 17 Poyntz Street, Penetanguishene from 1-4 p.m. Memorial donations to the Georgian Bay Cancer Support Centre would be appreciated.